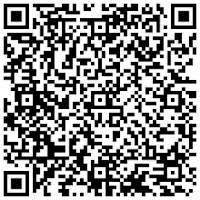 When my geek fell out last month about Random.org's random bitmap generator I had no idea this juicy nugget of procrastination was out there: a free QR Code Generator. If you scanned the image in this post it would say, "So much depends upon a red wheelbarrow, glazed with rainwater beside the white chickens. - William Carlos Williams" Today's New York Times Magazine has an article about the QR generator and the creativity it has spawned. About a year ago the Technology section of the New York Times did an article about the rise of this type of code.